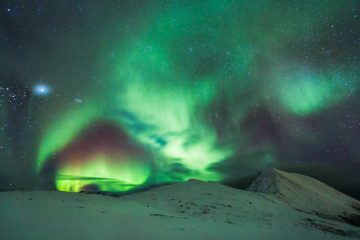 Visible through the long nights of an Arctic winter from October to March, the Aurora Borealis dances across the night sky in a green or pink curtain of light, taking on mystical forms which shift in different intensities. Although seeing the Northern Lights appears on many bucket lists, the temperamental nature of this phenomenon means there’s no guarantee. 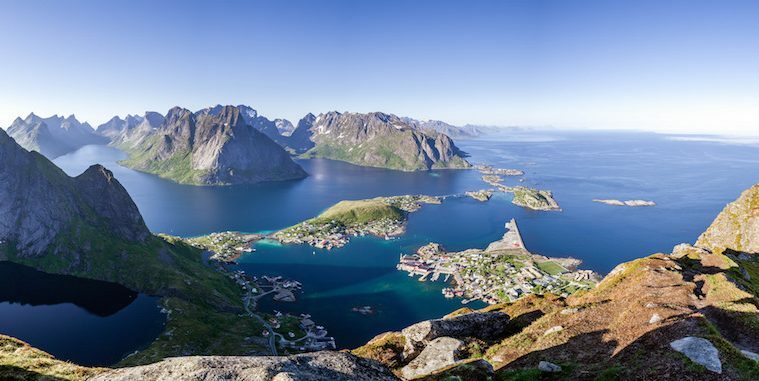 However, Norway has many of the necessities of seeing them, especially in Lofoten, and Svalbard. 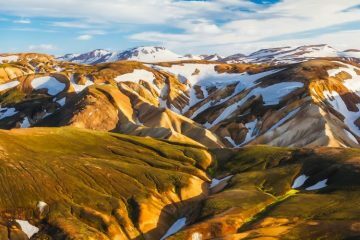 Although there are numerous national parks to explore, it’s Jotunheimen National Park that rises above some of the others. 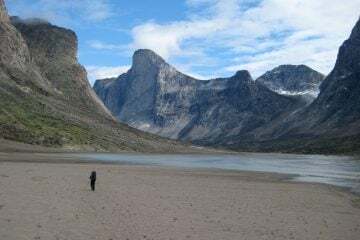 The park is recognised as one of the country’s premier hiking and fishing regions and it’s also the home of 60 glaciers and 275 summits over 2,000m. 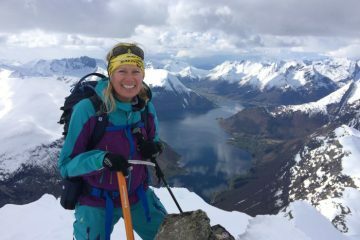 Not only is Jotunheimen exceptionally beautiful and full of iconic trails including the Besseggen Ridge walk, but it also houses northern Europe’s two highest peaks: Galdhøpiggen (2,469m) and Glittertind (2,465m). 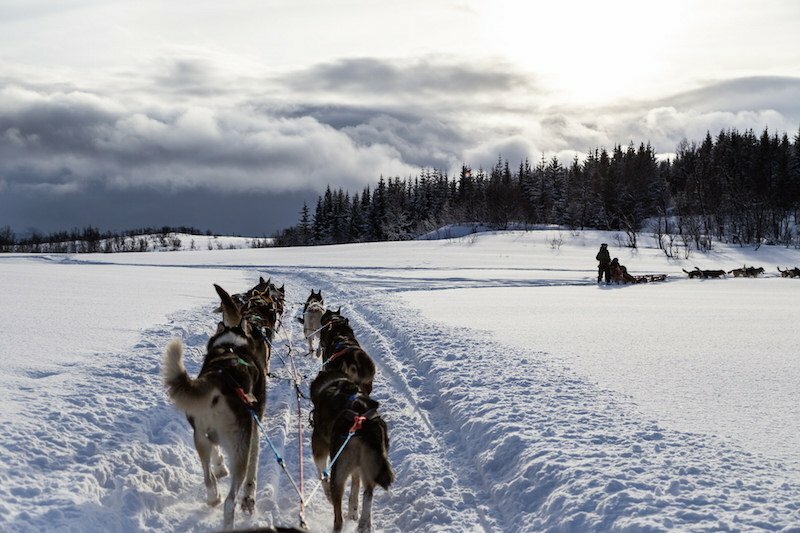 Dog sledding will whisk you away from the noise of engines and modern life, taking you around a trackless world of Norway’s far north. 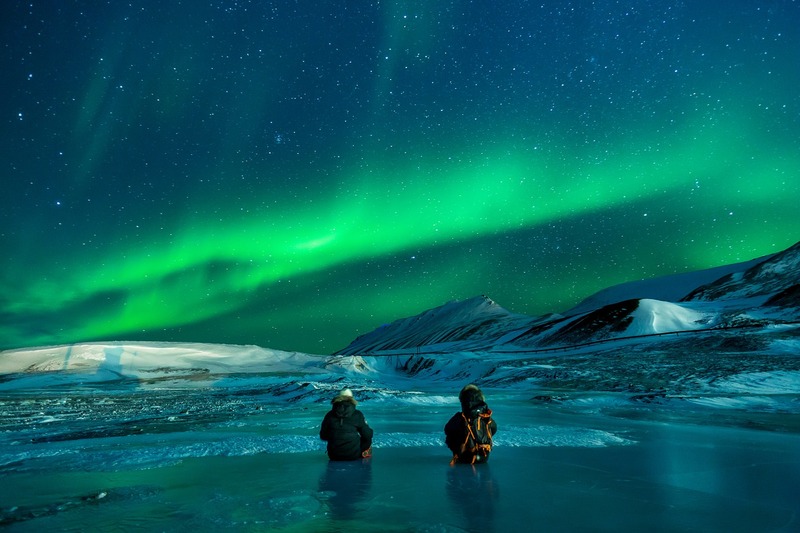 There’ll be a soundtrack of excited dogs and the scraping of sled on snow as you immerse yourself in the blissful and beautiful light of an Arctic winter. Norway is home to a bunch of intriguing wildlife. 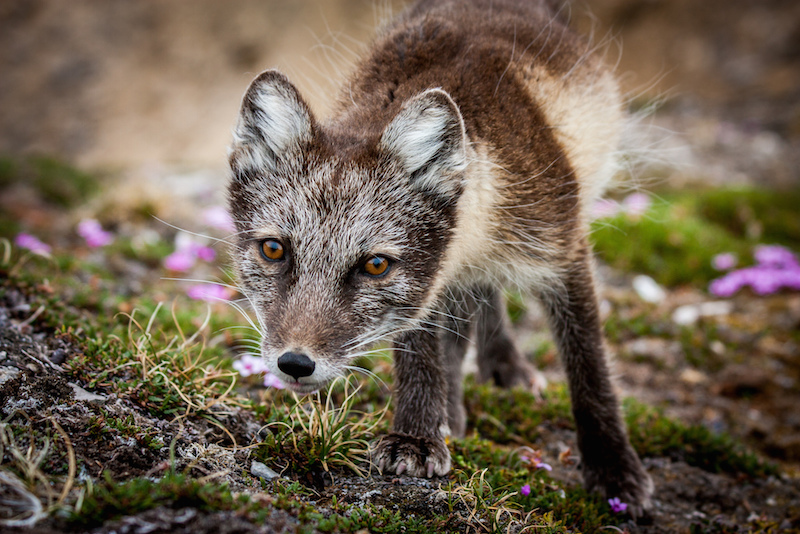 During your visit you may have chance encounters with Arctic foxes and reindeer, and if you’re visiting Svalbard there’s even the possibility of stumbling upon polar bears. But remember to keep your distance. Also, with the help of dedicated safaris you can see loveable elk while the coast offers an abundance of bird life and whale watching. 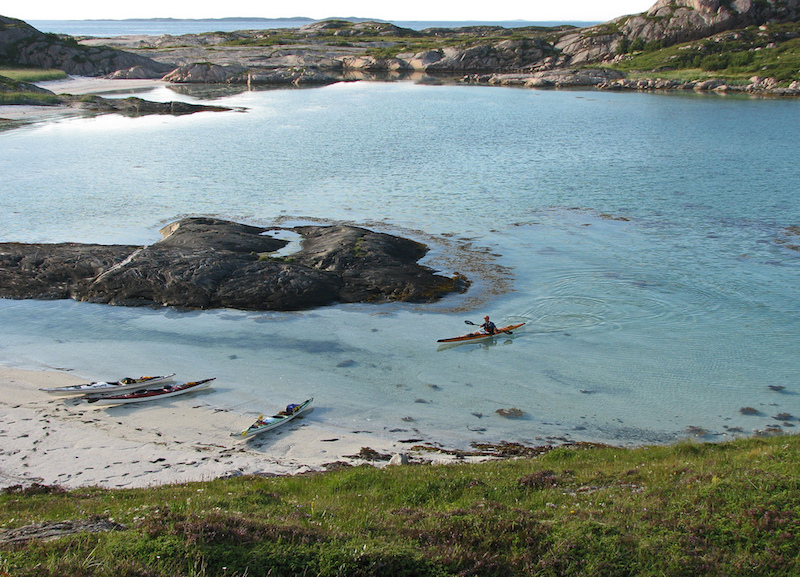 If you want to experience the country’s best areas for sea kayaking, then head to the Helgeland Coast. 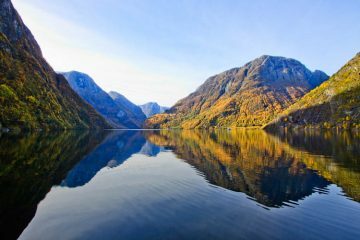 The narrow fjords, majestic mountains and assortment of islands provide a special setting you’ll never have seen before. You can find your own beach, stay in a traditional rorbu (fishermen’s cottages) and experience the local traditions. 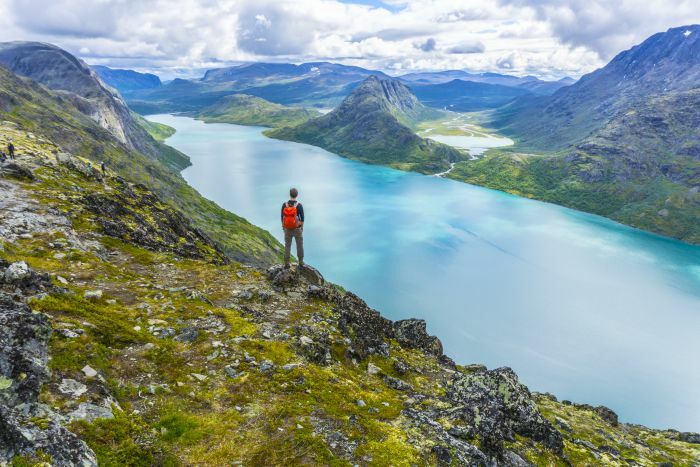 By kayaking through Norway, you’re sure to have a more intimate adventure.